Seven years have passed since Mordecai's battle with the Shining God, Celior, and since that time his control of his abilities has vastly improved. 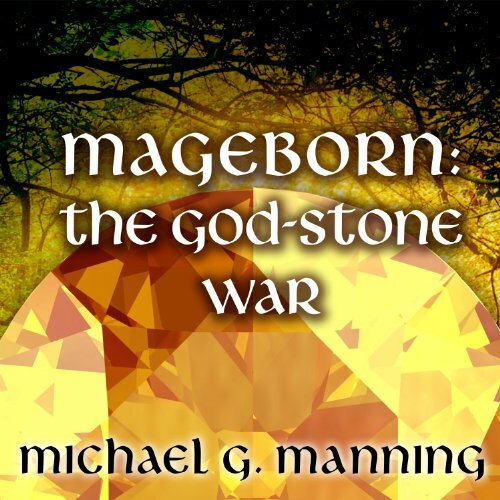 He has at last envisioned a use for the 'God-Stone,' but the gods want vengeance and now seek to destroy everything he has built. 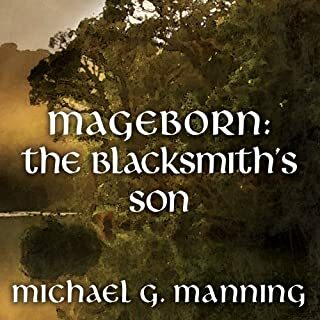 The secrets of the past threaten the future of his kingdom, his family, and perhaps humanity itself, unless Mordecai can discover the meaning of 'Illeniel's Doom.' How far will a desperate wizard go to protect his children...or will his efforts merely damn them all? God Stone War is the first in this series (Other than the prequel) that I was entertained from start to finish and then even kept you intrigued for Final Redemption. With the previous 3 installments, I kept loosing interest before being caught up again. Manning does that really well. He wants there to be filler in the books so that they aren't over in a 100 pages, but the filler is never that great. With God-Stone War, he doesn't need filler, and the filler he does use is intriguing (Like the discussion over the World Road and the Trip to see Marc). The fight between the people of Cameron and the Gods is brilliantly done because it tells us how smart Mort is beyond how powerful he is. It also brings together the characters and binds them even more into a family. Which makes it much more of an intriguing story. Then after all that, you get the battle between Mort and Timmy, and the horribleness that follows that fight. It's a great/sad conclusion to this book that sets up everything in the future. 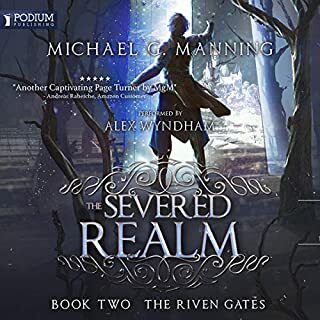 Book 4 is fantastic and you can tell that Manning is getting better at his trade with every word he writes. 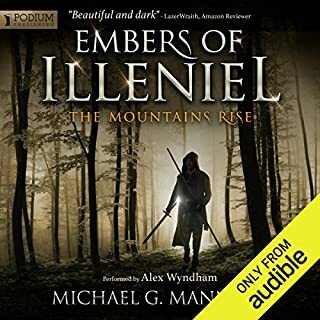 I always wondered how Embers of Illeniel was so great while Blacksmith's Son and Unbound felt a little lacking, but with God Stone War and now listening to Final Redemption, it's clear that Manning is finding his stride. McLaren does his usual fantastic job. 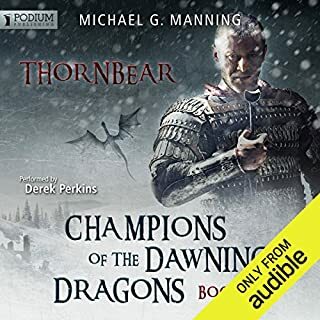 Where does The God-Stone War rank among all the audiobooks you’ve listened to so far? It is a high rank as far as medieval time of books. The Humor of the main character's troubled times. I don't remember, but Todd does change his characters while reading. Just waiting on the next installment. Where is book five? I love the first four! There must be some information on a release date. Please let us know! I liked the book, but the inappropriate use of vastly different accents was distracting. For instance; Mort and Dorian grew up together yet Dorian has an Australian sounding accent, and Mort has an American accent. The narrator’s portrayal of female voices made me cringe a little at times, but not bad enough to stop me from listening to the series books 1 through 4. 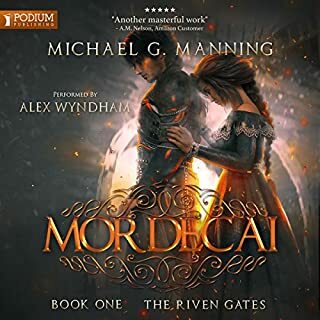 Looking forward to book 5, hoping the new narrator proves to be more consistent with accents. As the plot crawls along, Manning's characters indulge in endless melodramatic soliloquies. The book is a tedious explication of banal neuroses, stitched onto plot based on an incrementally recovering (buried) memory. By this installment of the series I have lost all sympathy for the 'good' characters, and all interest in the 'bad' ones. And the plot lurches from one crisis to the next not necessarily from something logical in the development of the story line, but from the next outrageous hidden feature of the fantasy world brought suddenly to light. This was not one of my better literary acquisitions. This series has some interesting magical concepts. Particularly intriguing was the introduction of Moira and the idea of directly channeling the elemental energies of Earth, Air, Fire and Water. However, the writing is poor and much of the character development weak. Most annoying is that Mort never matures. As a reader, I felt the same frustration expressed by characters such as Penny and Dorian about his immaturity. Despite the passing of a couple of decades, his humor stays that of a teenage boy. I strikes me that the author may have tapped into some very ancient wisdom to present the concepts that I found intriguing. Unfortunately, he does not honor them in the story development. Rather he surrounds these gems with many pages of poor story lines and inane dialogue. 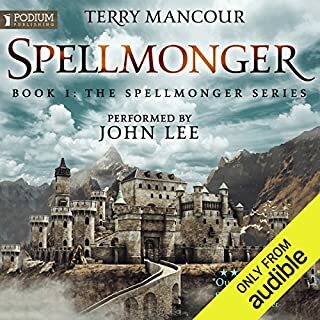 I read the first four books several years ago and recently returned to the series on audio book, hoping that perhaps I had been wrong in my initial assessment. I don't plan to read the final book of the Mageborn series or the subsequent prequel series. Many of the other reader reviews of these books reinforce my conclusion that there would be little of interest for me in continuing. For those readers looking for good writing, world building and character development, I would highly recommend Anne Bishop, particularly the Ephemera series. Can't put it down once you start. Non-stop twists and turns that keep you guessing and listening intently. some of the best mage writing out there. If you're looking for a story with lots of magical battles and lighthearted humor, this is it. I really enjoyed the magic system in this universe. One thing I didn't like is overly long parenting scenes. I understand those may be important in terms of developing the characters, but surely there are other ways of accomplishing that. A very solid piece overall! A bit boring compared to the previous books. An ok read, althoug this book is a bit too slow for my taste. I listened at 1.5x speed, and still my mind wandered off a lot. It just could not keep me absorbed like the previous books.